In many important applications, a collection of mutually distrustful parties must perform private computation over multisets. Each party’s input to the function is his private input multiset. In order to protect these private sets, the players perform privacy-preserving computation; that is, no party learns more information about other parties’ private input sets than what can be deduced from the result. In this paper, we propose efficient techniques for privacy-preserving operations on multisets. 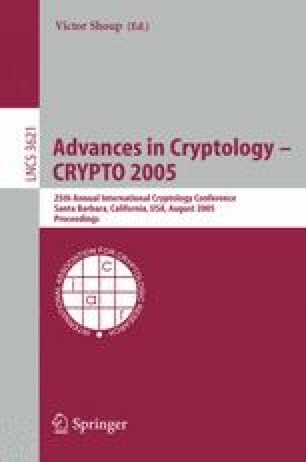 By building a framework of multiset operations, employing the mathematical properties of polynomials, we design efficient, secure, and composable methods to enable privacy-preserving computation of the union, intersection, and element reduction operations. We apply these techniques to a wide range of practical problems, achieving more efficient results than those of previous work.